Why are fire alarm systems necessary and important? Many people do not have fire alarm systems installed in their homes. Many assume that they are able to smell smoke when they are asleep and wake up in time to escape in case of a fire emergency. Well, this is not true at all. Studies have been conducted and it has been proven that people’s sleep are disrupted when there is sound or noise, but it is NOT the case with smell. Our sense of smell is lost when we are asleep, and we will not wake up no matter how strong the smell of smoke is. Many people do not take fire alarms seriously, and many do not test or check their alarm systems regularly. The only thing that can alert you, your family and colleagues 24/7 from a fire is the sound of a well installed and maintained fire alarm system. Fire alarms are important because they can give you an early signal to something that could be tragic – basically saving your lives. A fire alarm alerts you when they you are busy, working or sleeping. You can therefore take action before major damage takes place, thus saving you the cost of property loss- also saving insurance companies a lot of damage cost. More than half of house fires take place in homes that do not have fire alarms, and mostly at night, resulting in a high number of deaths. It is easy to get trapped in the start of a fire. An early detection can get you out of a situation that would potentially turn into a tragedy. Make sure to also alert your family and friends on the importance of installing fire alarm systems. Install a fire alarm in every room of a house especially where you sleep, and in every office of an organization. Check your batteries of signs of corrosion or battery life. Replace the batteries once a year. Make sure you teach your children what to do when they hear the sound of a fire alarm. Test the fire alarms at least once a month. Do not paint over fire alarms or stick anything on them, as that could interfere with its functioning. If you’d like to discuss applying our security, IT or software solutions to your company, simply contact us by clicking this link. Our services save our clients time and are designed to grow their businesses, increase revenue and profitability. 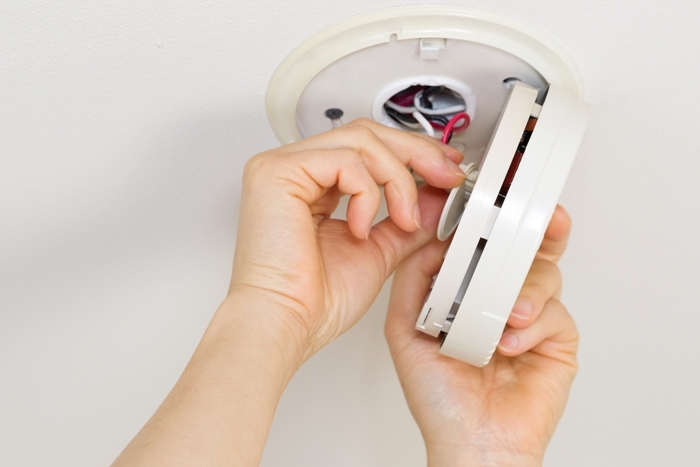 Many people do not have fire alarm systems installed in their homes. Many assume that they are able to smell smoke when they are asleep and wake up in time to escape in case of a fire emergency. Well, this is not true at all. Studies have been conducted and it has been proven that people’s sleep are disrupted when there is sound or noise, but it is NOT the case with smell. Our sense of smell is lost when we are asleep, and we will not wake up no matter how strong the smell of smoke is. Many people do not take fire alarms seriously, and many do not test or check their alarm systems regularly. The only thing that can alert you, your family and colleagues 24/7 from a fire is the sound of a well installed and maintained fire alarm system. Fire alarms are important because they can give you an early signal to something that could be tragic – basically saving your lives. A fire alarm alerts you when they you are busy, working or sleeping. You can therefore take action before major damage takes place, thus saving you the cost of property loss- also saving insurance companies a lot of damage cost. More than half of house fires take place in homes that do not have fire alarms, and mostly at night, resulting in a high number of deaths. It is easy to get trapped in the start of a fire. An early detection can get you out of a situation that would potentially turn into a tragedy. Make sure to also alert your family and friends on the importance of installing fire alarm systems. Here are a few safety and maintenance tips for you to keep in mind: Install a fire alarm in every room of a house especially where you sleep, and in every office of an organization. Check your batteries of signs of corrosion or battery life. Replace the batteries once a year. Make sure you teach your children what to do when they hear the sound of a fire alarm. Test the fire alarms at least once a month. Do not paint over fire alarms or stick anything on them, as that could interfere with its functioning. If you’d like to discuss applying our security, IT or software solutions to your company, simply contact us by clicking this link. Our services save our clients time and are designed to grow their businesses, increase revenue and profitability. Do you want to save time, grow your business, increase revenue and profitability? How to save money, increase efficiency and sleep better at night. Copyright © 2014 - INFORMATION VILLAGE. All Rights Reserved.